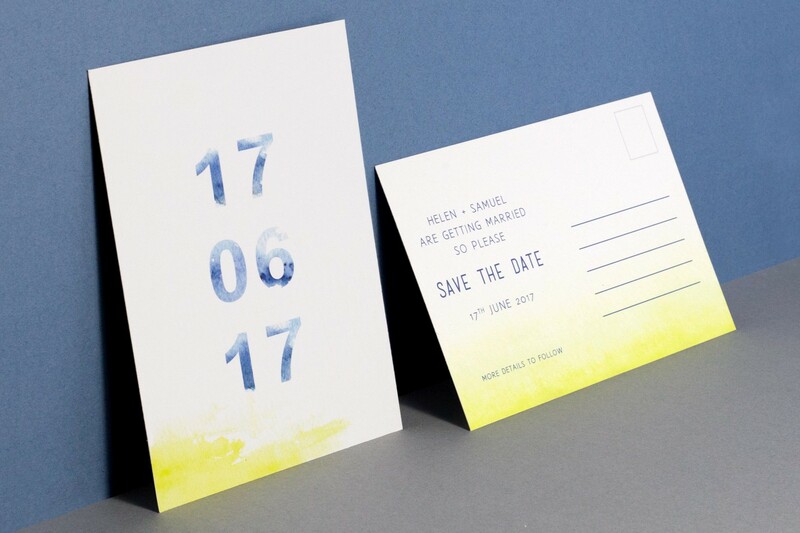 This tie dye inspired, modern wedding stationery set has a beachy, bohemian feel that would suit any wedding that wants to set a relaxed, fun, summery vibe! 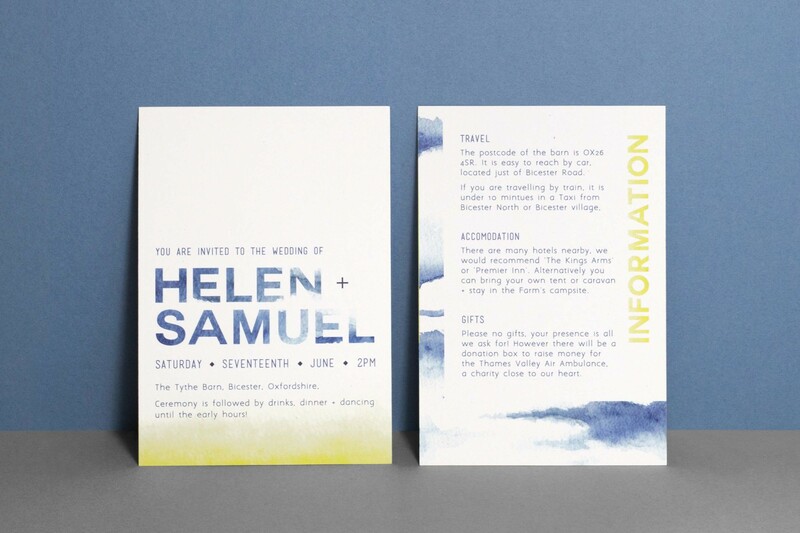 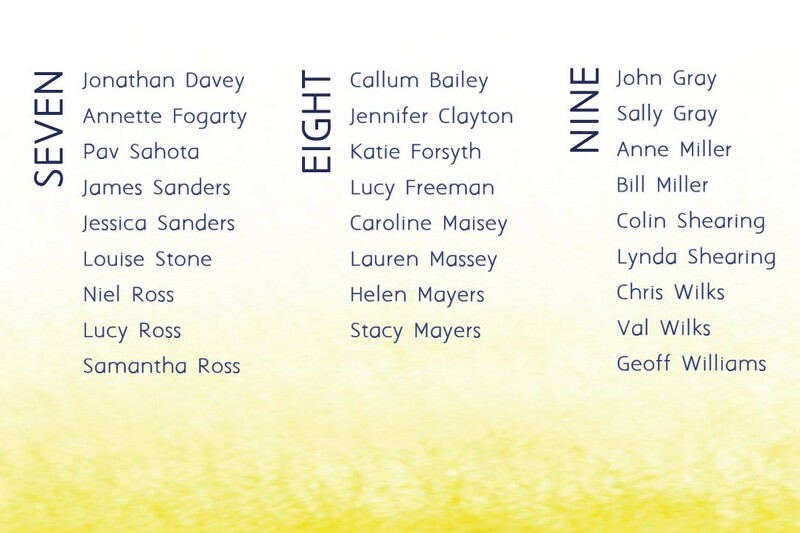 The patterns are inspired by tie dye and dip dye techniques and it features bold, modern typographic elements. 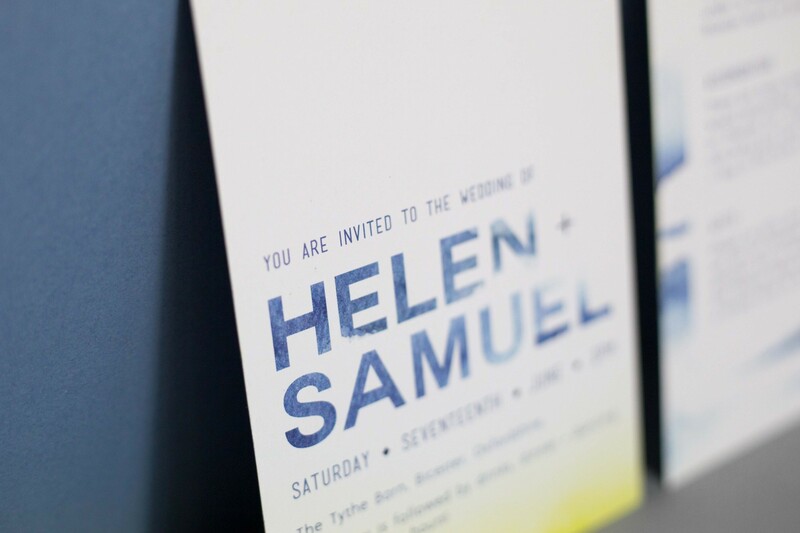 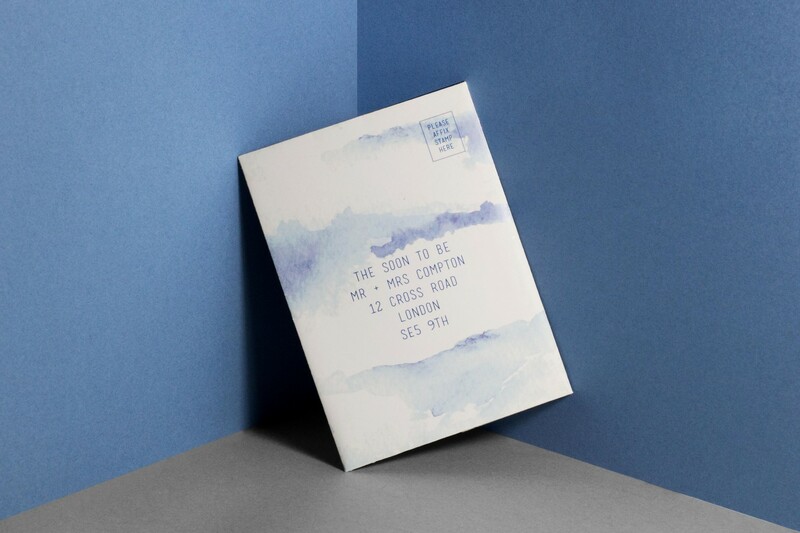 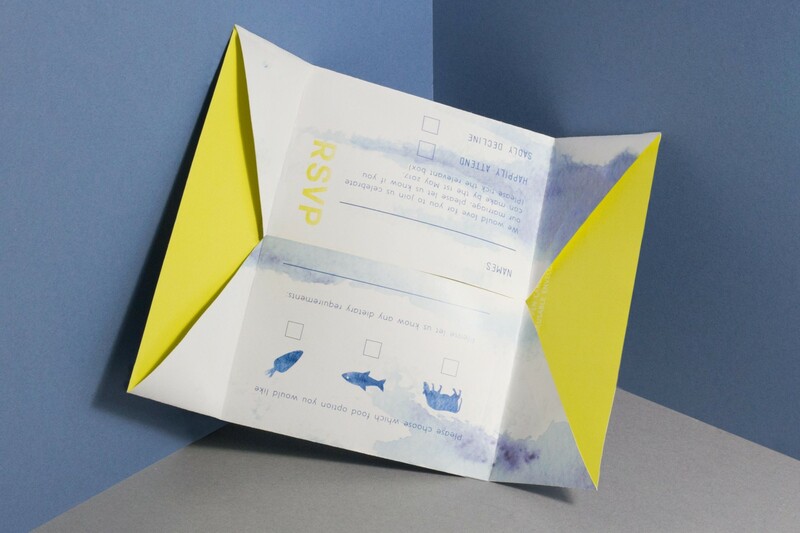 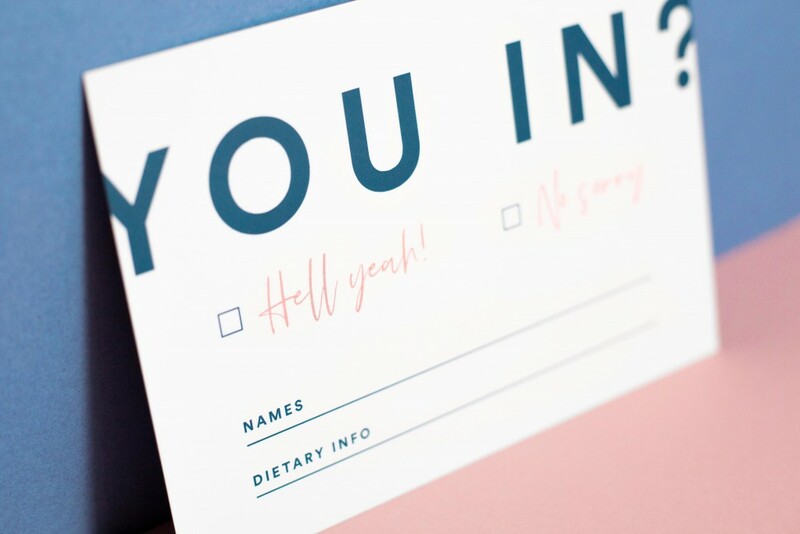 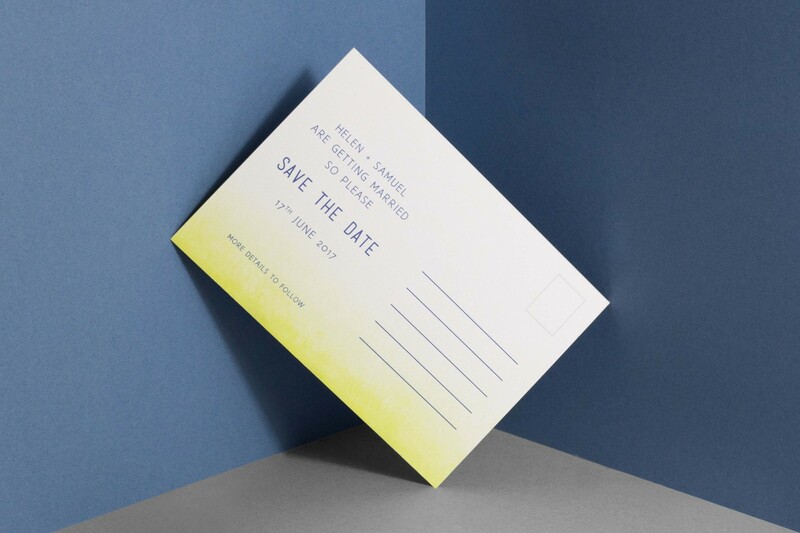 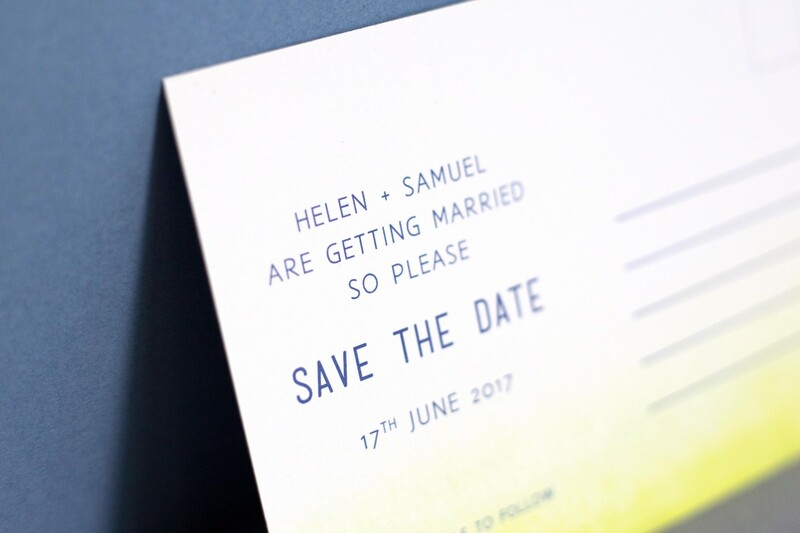 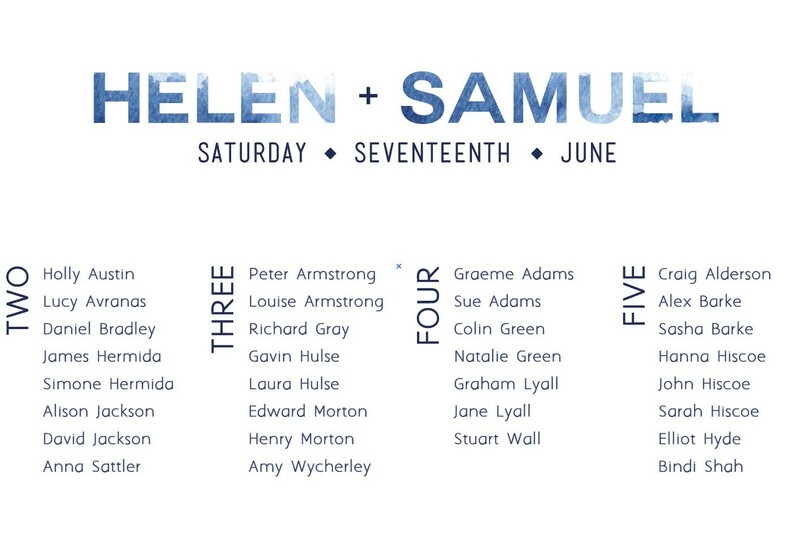 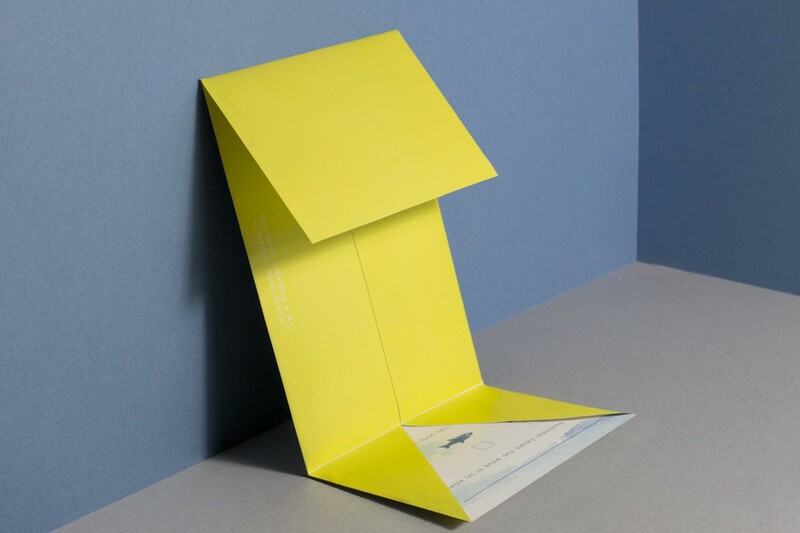 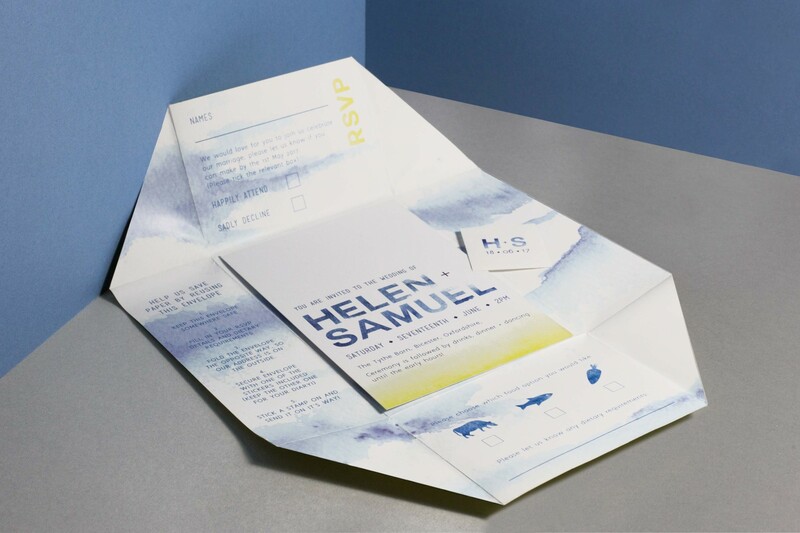 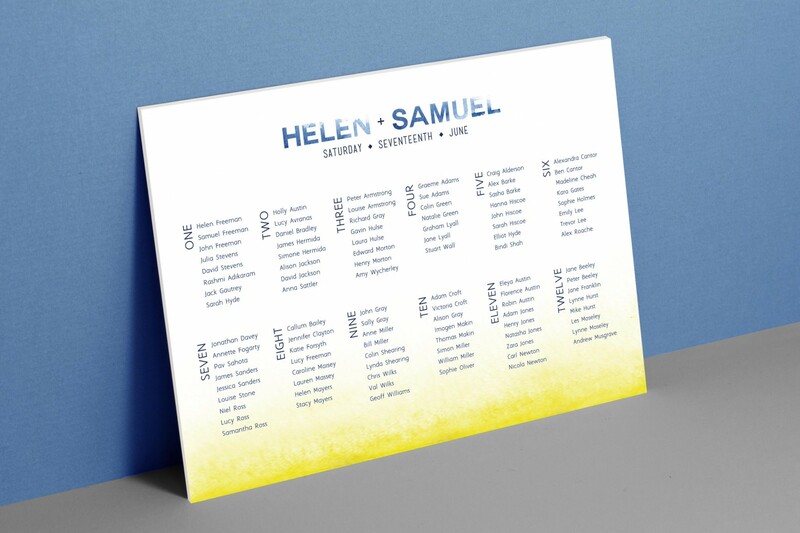 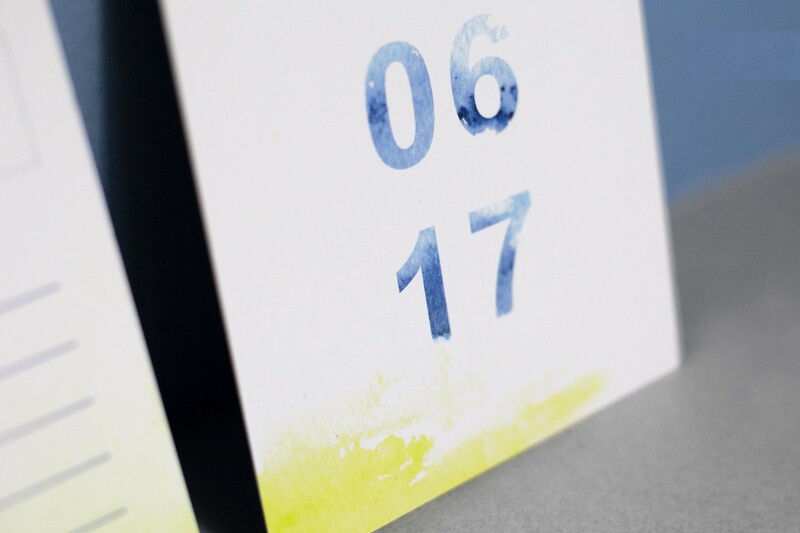 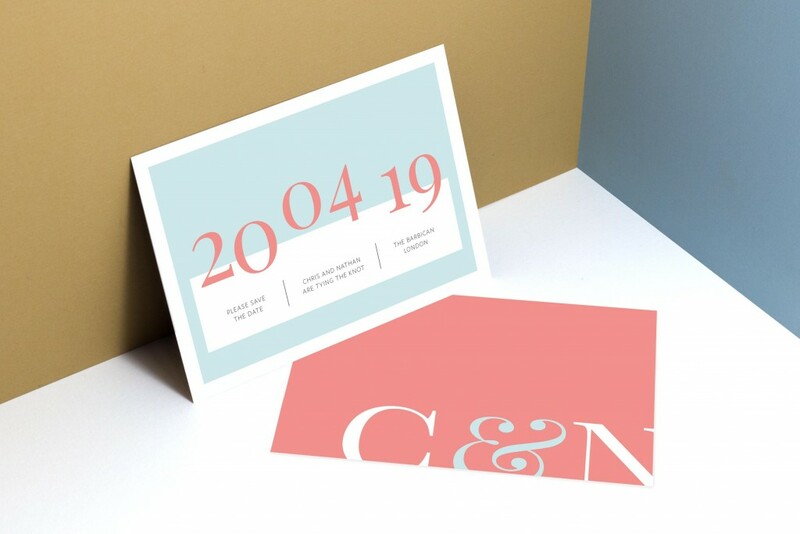 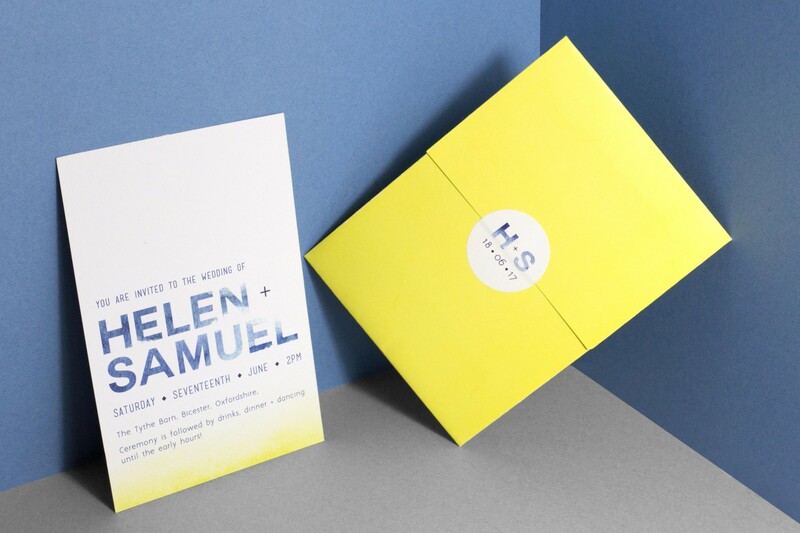 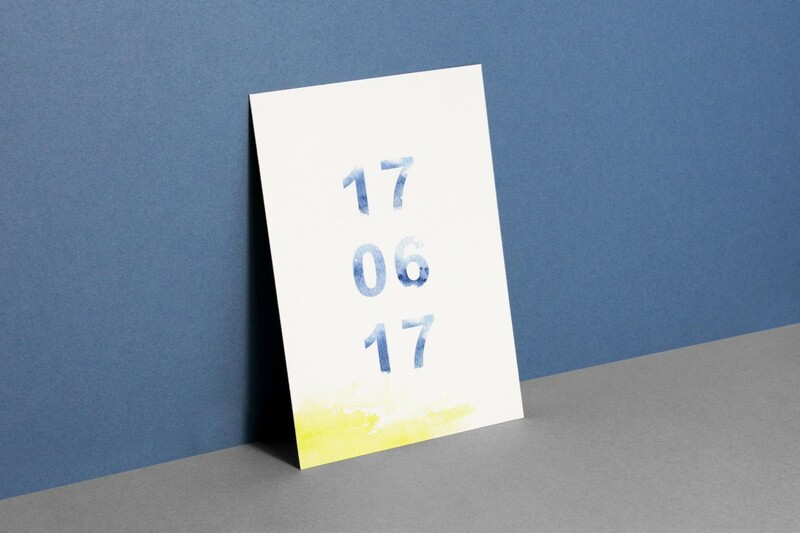 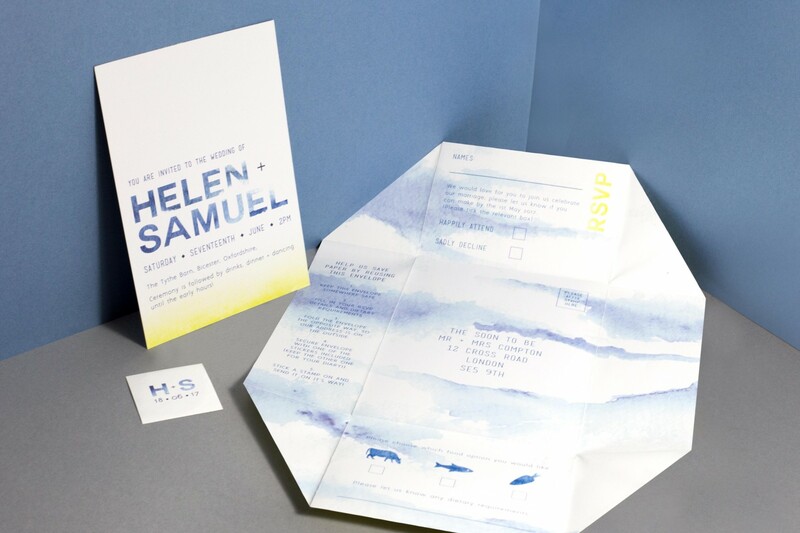 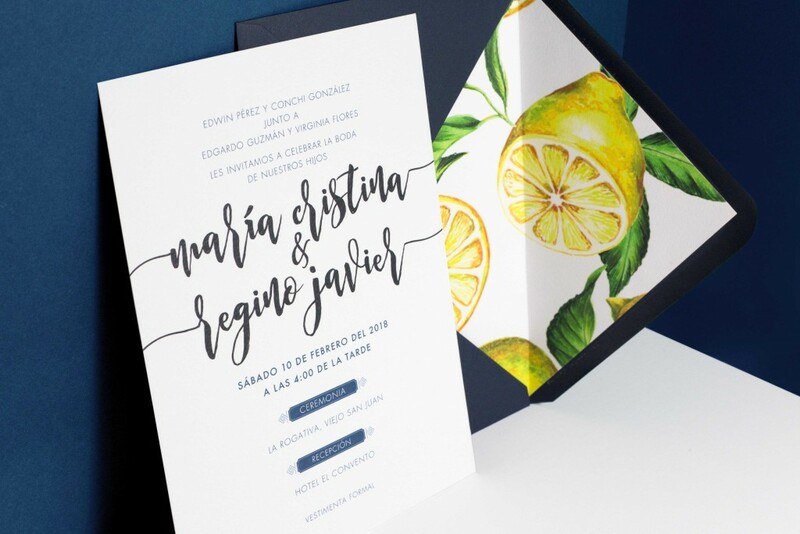 The reversible, eco-friendly invitation makes the Vorfreude collection perfect for any couple who are keen to do their part for the environment during their wedding planning!